Two complimentary nights at any participating Tier 1-4 Ritz-Carlton hotel, after you spend $4,000 on purchases in the first 3 months after account opening. Plus, earn 10,000 bonus points after you add the first authorized user and make a purchase in the first 3 months from account opening. 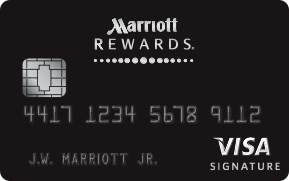 Earn 5 points per $1 spent at participating Ritz-Carlton Rewards® and SPG® hotels. Earn 2 points per $1 spent on airline tickets purchased directly with the airline, and at car rental agencies and restaurants. 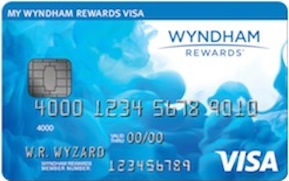 Plus, earn 1 point per $1 spent on all other card purchases. 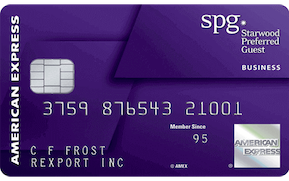 Enjoy a $300 annual travel credit to use for baggage fees, seat upgrades, access to your preferred airport lounge and more. 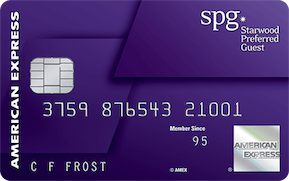 Receive a complimentary annual Priority Pass™ Select membership* with access to over 900 VIP airport lounges in over 400 cities worldwide (~$399 retail value). 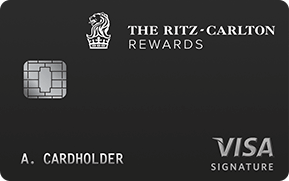 Use your Ritz-Carlton Rewards Credit Card to pay for your Global Entry application (currently $100) and receive a $100 statement credit. You'll also be eligible to receive TSA Pre ✓® privileges if you are approved. Fly for less when you book a qualifying airline itinerary with The Ritz-Carlton Rewards Credit Card at visadiscountair.com/ritzcarltoncard. Upgrade to The Ritz-Carlton Club® level three times annually on paid stays of up to 7 nights. Subject to availability at the time of your reservation. Allow us to treat you during your time away with a $100 hotel credit toward dining, spa or other hotel recreational activities on paid stays of two nights or longer. Enjoy complimentary Gold Elite status in The Ritz-Carlton Rewards® program for your first account year. To continue to enjoy Gold Elite Status benefits, simply spend $10,000 your first year and each subsequent year to maintain your Gold Elite status. Enjoy Platinum Elite benefits of The Ritz-Carlton Rewards, such as arrival gifts, room guarantees and more, when you spend $75,000 on purchases each account year.